Gorgeous, open floorplan in Highland Lakes, a highly active 55K+ community! Just under 2000 square feet, and lovingly maintained. 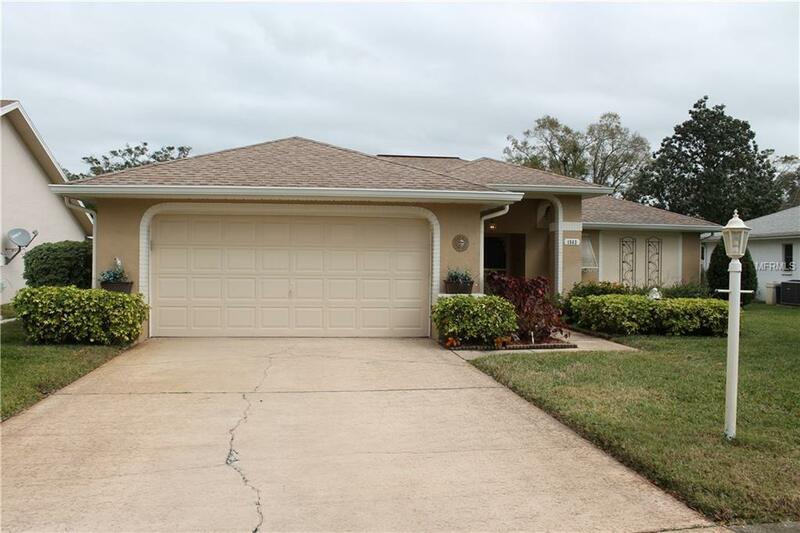 Split plan, eat-in kitchen, dining and living rooms, family room, and large Florida room with portable air conditioner. Patio complete with grill. Master bedroom with king sized bed! Beautifully furnished and completely set up for a short-term tenant. If you love tons of activities, such as dinners, dances, and shows, plus swimming, golf, pickle ball, bocce and so much more, this is your community to visit and enjoy Florida! There are 2 heated pools (1 Olympic sized) plus spa, a lodge with a fishing pier, RV/Boat storage, and free cruises on Lake Tarpon to residents on one of the two pontoon boats. Close to restaurants, shopping, and medical facilities. Available April 1-October 31, 2019.